By way of Thoreau over at Unqualified Offerings, I find that the flipped classroom is no more; a new “paradigm-shifting” educational fad is in town, and it is called the scrambled classroom. While we are waiting for the breakfast meat initiative to complete the Grand Slam of education, here are a few options for those who don’t like scrambled eggs classrooms. Fabulous! You should get that published somewhere. 🙂 Thanks, B^3SH! I am glad you enjoyed it. 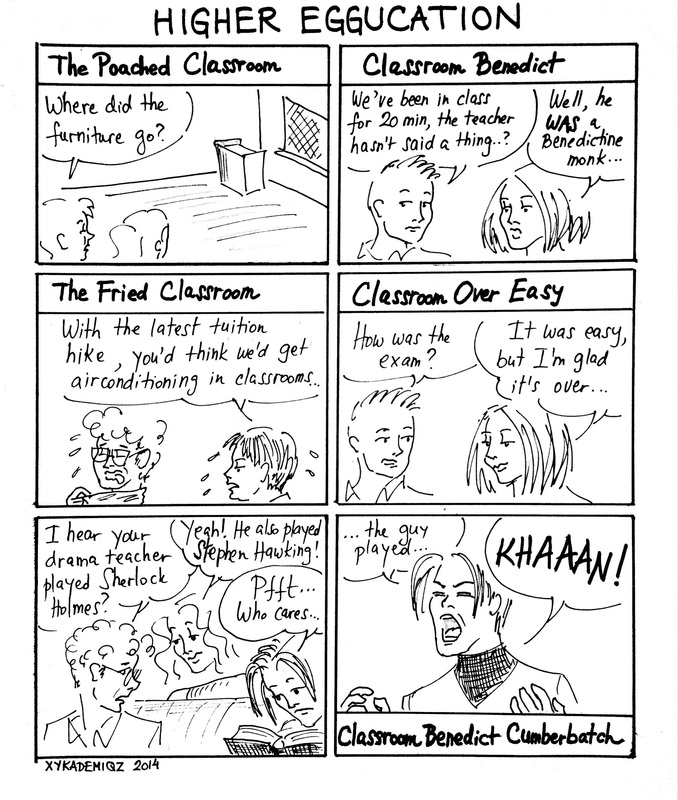 This brilliant cartoon ridiculing flipped classrooms really needs to go viral.